Sonoma will be taking part in the remembrance of the events of September 11, 2001, with events presented all day Sunday, Sept. 11, by the Sonoma Community Center. The day will begin at 6:58 a.m. at the firehouse on 2nd Street West with the final bell ceremony, a moment of silence, and Perrin Cutting singing the National Anthem. The firehouse museum will also be open. At 9 a.m., the reading of the names will begin in the Grinstead Amphitheater in Sonoma Plaza. At noon, behind City Hall, the Hometown Band will perform, as well as a bagpiper performance. At 1 p.m. the official ceremony begins, with Teressa Byrne Foss sings the National Anthem, Rev. Nancy Taylor delivers the Benediction and Mayor Gallian, Councilman Ken Brown and 9/11 First Responder Fred Gusman will all speak. Following the ceremony, the Valley of the Moon Chamber Ensemble, the Sonoma Valley Chorale and the St. Andrew Singers will all present a performance that will include “Kyrie” which is being performed all over the world that day, as part of “Global Song for Peace.” The afternoon will wrap up with the Hot Flashes, led by Cynthia Tarr, followed by Tommy Thomsens All-Stars performing in the amphitheater until 4 p.m. Throughout the day, the Sonoma Community Center will have food and beverages for sale behind City Hall. Brian Nova is back in town for two shows at the Plaza Bistro this weekend, kicking off tonight, Sept. 9, and again on Saturday, Sept. 10. Nova called Sonoma home for several years, before moving on to Seattle. 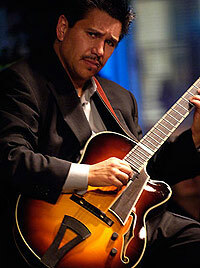 Nova has played and toured with some of the legends of jazz, including Joe Pass and Herb Ellis, and even recorded his latest CD with Steve Miller at his home studio. Shows both nights start at 7 p.m. and there is no cover. The Kathmandu Corner has expanded the nightly live music to three nights a week, adding Monday night and billing it as “locals night.” Tonight, Sept. 9, the corner welcomes the Paper Dolls. Saturday, Sept. 10, brings in Sarah Summers and Monday, Sept. 12 has Sean Carscadden. There is no cover for any of the shows. Sebastiani Winery and Vineyards has the Rolling Blackouts in the tasting room tonight, Sept. 9, for a show that kicks off at 6:30 p.m.
El Verano Inn has the antics of Ten Foot Tone on Saturday, Sept. 10, for a show that starts at 9:30 p.m. There is no cover. Centre du vin in the Ledson Hotel has Jess Petty and Ken Chambers on Saturday, Sept 10, for a show that kicks off at 6 p.m.
Little Switzerland welcomes back the San Francisco Starlight Orchestra on Saturday, Sept 10, for a 2 p.m. show. The orchestra was started in 1986 as a tribute to the 1920’s ballroom dance orchestras of the day. The 14-piece band plays dance classics and encourages you to “come dressed to dance the fox trot, Charleston, tango, rumba, waltz, lindy and more.” For reservations and more info, call 938-9990. JoyRide will be at Steiners Tavern tonight, Sept. 9, for an 8 p.m. show. There is no cover. Larsen Family Winery will be hosting a Future Farmers of America benefit on Saturday, Sept. 10, at the winery. The event, which kicks off at 4 p.m., includes dinner featuring tri-tip from Sonoma Market and homemade chili, among other items. There will be a live auction hosted by Ed Vaughn and live music from the Rich Little Band. For more info or to purchase tickets, contact Becky at 938-3031 ext.104. Landmark Winery and Vineyards presents Sharman Duran in the courtyard on Saturday, Sept. 10, starting at 1 p.m. There is no cover. 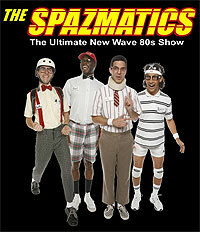 Gundlach Bundschu Winery is presenting the “Shake your Bundschu Dance Party” on Saturday, Sept. 10, that features ‘80s new-wave rockers the Spazmatics. Era-specific costumes are optional, but encouraged. There is also a shuttle that runs from the winery to the Sonoma Plaza every 30 minutes during the event. For tickets and more info, point your browser to www.gunbun.com/sybdp. All tickets will be held at will-call. Michoacana Natural Ice Cream in Boyes Hot Springs has the local high school act Refuge on Saturday, Sept. 10, kicking off at 7 p.m. If you are interested in showcasing your musical talents, call the shop at 938-1173. The new Studebaker Cheesecake Cafe, which replaced Fiorini on Napa St. will begin to have open-mic every Monday night, starting Monday, Sept. 12, at 7:30 p.m. They are billing the evening “Corner of the Sky” and are modeling it after the old Center of the Universe Cafe, that used to be at the Sonoma Community Center. The evening will encourage spoken word as well as music performances. To reserve a spot or for more info, call Stephan at 503-564-4184. Sonoma Springs Brewery has the duo of Tom Martin and Corey Jennings tonight, Sept. 9, for a show that kicks off at 7 p.m.
Murphy’s Irish Pub has local bluesmen the Hellhounds tonight, Sept. 9, for an evening of Chicago and delta style blues. Saturday, Sept 10, the pub brings in the ever-popular Larry Carlin and his mostly, simply bluegrass act. Shows both nights start at 8 p.m. Sunday, Sept. 11, has an early show that features Sean Carscadden and Sarah Summers, kicking off at 6:30 p.m. There is no cover for any of the shows. Shiso Sushi and Grill will have live music in their new location in Maxwell Village on Saturday, Sept. 10, with Dan Martin at 9 p.m. The venue will also have a special late night menu available. There is no cover. The Whiskey Thieves will be on an actual island this weekend on Saturday, Sept. 10, as they travel to Angel Island to the Cove Cafe for a show that starts at 2 p.m. The Hellhounds are back in Napa at Uva Trattoria on Saturday, Sept. 10, for an 8 p.m. show. Natasha James will be all the way down in Mountain View at the Art and Wine Festival on Saturday, Sept. 10, kicking off at 11 a.m. The Joe Chaplain Band will be playing a benefit for the Law Enforcement Chaplaincy Services, of which he is a member, on Saturday, Sept 10, at Ursuline High School in Santa Rosa. Tickets will be available at the door, with a discount for children. Mad and Eddie Duran will be in Benicia at the 1st Street Cafe on Sunday, Sept. 11, for a 2 p.m. show. Last week in our piece about John Salz, we identified him as a nurse at Sonoma Valley Hospital. Although he worked at the hospital for 22 years, he was not a nurse. We regret the error. Shana Morrison – Saturday, Sept. 10. Tommy Castro – Sunday, Sept. 11. UFO and Points North – Thursday, Sept. 15. Willie Nelson – Wednesday, Sept. 14. Vinyl – Friday, Sept. 9. Wine Country Ukulele Festival – Friday, Sept. 9. Bruce Hornsby – Wednesday, Sept. 14. Chicago – Thursday, Sept. 15. A little bit of Nashville comes to Sonoma Valley tonight, Aug. 12, when veteran singer-songwriter Joe Scutella comes to the Meadowcroft tasting room at Cornerstone in Carneros for a 7 p.m. show. Scutella is a 20-year veteran of the Nashville music business, having written songs for country artists such as Rhett Akins, George Ducas and Melodie Crittendon, as well as folk artists Donal Hinely, Ross Falzone and Peter Vesth. Scutella has recorded and released two albums of his own, 1998’s “Love Is a Train” and 2010’s “Hang In There.” He has twice been a finalist at the prestigious Kerrville Folk Festival in Texas in 1998 and 2010, as well as a New Folk finalist in the Napa Valley Wine and Music festival in 1999. For tickets and more info, call 934-4090. BackTrax classic rock band is back in action tonight, Aug. 12, at the Sebastiani Winery and Vineyards tasting room with a themed event they’re calling “Madcap Friday” where attendees are encouraged to wear any outrageous hat they have. Food will also be available from Community Cafe. The night kicks off at 6 p.m. and there is no cover. Brian Nova, a fixture on the Sonoma Valley music scene before moving on to Seattle, has been given a very prestigious honor, he has been asked to play a dedication ceremony in Sicily, Italy, where a street will be dedicated to jazz legend Joe Pass. 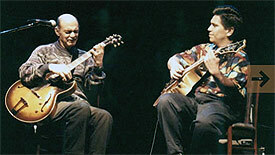 Pass was one of Novas mentors, and the two have shared the stage together many times. After the ceremony, Nova will be off to Paris, France for a couple shows. Nova has also been doing some recording for Concord records on Arturo Sandoval’s upcoming album due out in the fall and on Japanese superstar Seiko Matsuda’s new album at Capital Records. He has also been sitting in with the likes of Tom Scott, Kurt Elling, Mark O’Connor, Clint Black, Gordon Goodwin and many others this summer. Nova will be back in town in early September. El Verano Inn will have happy hour Friday today, Aug. 12, with an afternoon appearance from Hunter Germano and Wildflower Weed. The show kicks off at 5:30 p.m. and there is no cover. Saturday, Aug. 13, brings two acts to the EVI, kicking off with the Braineaters, a Misfits tribute act, which contains members of the Randumbs, Roadside Bombs and Quarter Mile Combo. Headlining the night will be the latest line-up of Motogruv, which features locals Jayme Bechtel and Dustin Smart and they will be showcasing their new vocalist, Corrine Rief. The show kicks off at 9 p.m. and there is no cover. Jazz is back at the Ledson Lounge with Jess Petty and Ken Chambers appearing on Saturday, Aug. 13, for a 6 p.m. show. There is no jazz this weekend at the Plaza Bistro, instead, a couple of local acts will grace the back room. Tonight, Aug. 12, it’s Train Wreck Junction, playing honky-tonk country western songs. Saturday, Aug 13, Plan Be, will be in the back room, playing a variety of musical genres. Showtime both nights is 7 p.m. and there is no cover. Little Switzerland welcomes back the San Francisco Starlight Orchestra on Saturday, Aug. 13, for a 2 p.m. show. The orchestra was started in 1986 as a tribute to the 1920’s ballroom dance orchestras of the day. The 14-piece band plays dance classics and encourages you to “come dressed to dance the fox trot, Charleston, tango, rumba, waltz, lindy and more.” For reservations and more info, call 938-9990. Sunday, Aug. 14, Little Switzerland welcomes Showcase the Band for an early evening show that goes off at 5 p.m.
Murphy’s Irish Pub has Savannah Blue in the Snug at 8 p.m. tonight, Aug. 12, for an 8 p.m. show. Saturday, Aug. 13, the snug welcomes Larry Carlin’s Mostly Simply Bluegrass Night, also for an 8 p.m. show. Sunday, Aug. 14, has an early show, kicking off at 6:30 p.m. with Sean Carscadden. To learn more about Carscadden, pick up the latest issue of SONOMA Magazine, where we did a feature on the up and coming local musician. There is no cover for any of the shows at the pub. Sonoma Springs Brewery has Rick Hardin tonight, Aug. 12, for a 7 p.m. show. There is no cover. Bobby Jo Valentine is making his way through the Valley this weekend, with a show tonight, Aug. 12, at the Charles Creek tasting room on the Plaza at 7 p.m. Saturday, Aug. 13, he is at HopMonk Tavern Sonoma for a 1 p.m. show. Valentine released his first album in February of this year and has received a very positive reception from fans and clubs alike. He has appeared on several radio shows around the Bay Area, and is currently playing shows along the coast of California. The Full Moon Barn Dance will be this Saturday, Aug. 13, at the Circle JR Ranch in Carneros. Local teen band Traffic Jam will open the night, followed by square dancing from Evie Ladin and the Black Crown String Band and then bluegrass from Middle Maki and the David Thom Band. Proceeds go to the Sonoma Ecology Center’s Enviro-Leaders Internship Program and 18 Reasons Youth Programming. There are still some tickets available and can be purchased at the door. The event kicks off at 4 p.m. For more info, tickets and the venue address, call 933-6191. Kunde Estate Winery will have “Tunes on the Terrace” on Saturday, Aug. 13, with the Mixed Company Band, kicking off at noon. There is no cover. Landmark Winery and Vineyards has “acoustic groove” from Daniel Maya on the patio on Saturday, Aug. 13, kicking off at 1 p.m. The Katmandu Corner has Uni and her Ukelele tonight, Aug. 12, for a 7:30 p.m. show. Saturday, Aug. 13, the corner welcomes Marty O’Reilly, also for a 7:30 p.m. show. There is no cover either night. The Blue Moon Saloon has the crazy noisy sounds of karaoke on Saturday, Aug. 13, kicking off at 9 p.m. Sunday, Aug. 14, the best kept secret in the Valley continues with the Sunday night blues jam, kicking off at 10 p.m. Dawn Angelosante will be in Napa at Acacia Winery for a late afternoon show today, Aug. 12, for a 4:30 p.m. show. Local bluesmen the Hellhounds will be in Napa all weekend, starting tonight, Aug. 12, at Cuvee, for a 9:30 p.m. show. Saturday, Aug. 13, the guys are at Uva Trattoria for a show that kicks off at 8:30 p.m. Will someone get these guys a Sonoma gig? Static People will be at the Rockit Room in San Francisco on Sunday, Aug. 14, for a 3 p.m. show. Points North, featuring local guitarist Eric Barnett have a busy weekend, starting tonight, Aug. 12, with a show at the Alley Bar and Lounge in Ukiah, that kicks off at 7 p.m. Saturday, Aug. 13, has the band at Vinnie’s Bar and Grill in Concord where they will open for rock legend Pat Travers, kicking off at 7 p.m. Hot 45s – Shows within a 45 minute drive from the Island. Amy Wigton – Friday, Aug. 12. Hot Club of San Francisco – Sunday, Aug. 14. Miles Schon Band – Saturday, Aug. 13. The popular vocal group SonomaSong will be at Cline Cellars on Saturday, June 18, in a rare performance “on the green” at Cline Cellars, for a 3 p.m. show time. The group will be performing songs from Journey, Chicago and more in a show that will on the “Great Lawn” on the winery property. The show will benefit the WillMar Center. The WillMar Family Grief and Healing Center provides compassionate peer group support for families grieving the death of a loved one and children, teens, and adults living with a family member suffering from a life-changing illness or injury. In addition, WillMar also provides emergency on-site grief support, education, and training to schools and the community at large. Tickets for the fundraiser can be purchased online at www.willmarcenter.org or by calling 935-1946. There will be a Barn Dance at the United Methodist Church on Saturday, June 18, at 7 p.m. So, what is a barn dance? Well, this one is not actually held in a barn, but is along the lines of the popular “Contra Dancing” that has taken hold recently. Not like square dancing, but probably the easiest kind of dancing because the caller teaches every dance before the music starts and then calls directions while the musicians play Irish and bluegrass tunes. The caller that night is Stuart Moody, with Jerry Allen on guitar and Daniel Kahane on fiddle. Tickets can be purchased at the door or by calling Lauren at 939-9999. The Plaza Bistro welcomes home a player that spent quite a few years here, before moving his act up to Seattle. Brian Nova will be in town for two nights, starting tonight, June 17 and Saturday, June 18. Nova is a big name in the jazz world, having played with the likes of two titans of jazz guitar, Herb Ellis and Joe Pass. He also dabbles in the rock world, with his latest CD having been recorded at Steve Millers studio. This weekend, Nova will have with him Jim DeJulio on bass and many others dropping in to jam. The show kicks off at 7 p.m. both nights and there is no cover. Murphy’s Irish Pub has the Brothers Comatose in the Snug at 8 p.m. tonight, June 17. The band is a loose knit group of quality musicians of a clearly undefined genre, but folk and bluegrass come to mind. Saturday, June 18, has the Perfect Crime, playing traditional bluegrass, also for an 8 p.m. show. Sunday, June 19, brings in Greenhouse, for an evening of Celtic music that will kick off at 6:30 p.m.
Sebastiani Winery and Vineyards has Five A. M. in the tasting room tonight, June 17, at 6:30 p.m. The band has received regional accolades for their songwriting style. The Friday local music events feature an available catered dinner by Community Cafe and specials on wine. Olde Sonoma Public House welcomes the Keith Andrew Band tonight, June 17, for a 7:30 p.m. show. Saddles Steakhouse at MacArthur Place will begin a semi-weekly series called “Swingin’ Sunday” with the Richard Olsen Trio on Sunday, June 19, for a 2 p.m. show. The shows are scheduled for every other week, and you may remember Olsen from his big band that played the Patrons Night at the Vintage Festival in years past. HopMonk Tavern Sonoma has a couple local acts this weekend, kicking off tonight, June 17, with Adam Traum for a show that kicks off at 8:30 p.m. Sunday, June 19, the tavern welcomes Glenn Carter for a 2 p.m. show. There is no cover for either show. The Town Square has “Acoustic Sunday Afternoon” again this weekend, hosted by Jon Williams from Ten Foot Tone on Sunday, June 19, for a 3 p.m. show. Local acoustic acts are encouraged to show up and play a song or two. The Sebastiani Theatre welcomes Tommy Thomsen for a set of Hawaiian music before the screening of “What if cannabis cured cannabis,” on Saturday, June 18, which will kick off at 1 p.m. Taste of the Himalayas welcomes Dawn Angelosante to the Katmandu Corner for a night of music tonight, June 17, kicking off at 7:30 p.m. The Barking Dog in Boyes Hot Springs has its monthly engagement with the Joe Chaplain Band on Saturday, June 18, for an evening that will kick off at 6 p.m. There is no cover. Sonoma Springs Brewery has Jon Williams from Ten Foot Tone for a night of acoustic music tonight, June 17, for a 7 p.m. show. Rumor has it that other members of Ten Foot Tone may show up to jam. Sean Carscadden is in Petaluma tonight in the Theater District in front of Tres Amigos Restaurant for a 7 p.m. show. Pablo Cruise – Sunday, June 19. Butch Whacks and the Glass Packs – Friday, June 17. Jorma Kaukonen – Thursday, June 23. Gray Coats – Friday, June 17. Big Head Todd and the Monsters – Friday, June 17. Mary Chapin Carpenter – Sunday, June 19. Bonnie Hayes Band – Friday, June 17. Jamie Clark – Saturday, June 18. The Tuesday Night Market will have the first jazz concert of the year presented by the Sonoma Valley Jazz Society in the amphitheater that will feature Khalil Shaheed and Mansa Musa tonight, June 14, starting at 6 p.m. The Tuesday Night Market after-party at Murphy’s Irish Pub will feature Third Party, tonight, June 14, who will kick off his set at 7 p.m. 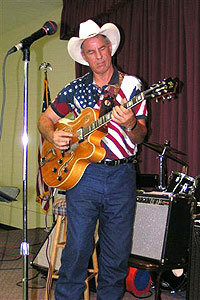 The Big 3 Diner in Boyes Hot Springs has Tom Martin playing folk and country songs on Wednesday, June 15 at 7 p.m. He promises no metal cover songs. There will be an open jam, hosted by the Tri Tip Trio at Little Switzerland on Thursday, June 16, that goes off at 8 p.m.
Hunter-Germano will be at the Olde Sonoma Public House on Thursday, June 16, for a 7:30 p.m. show. Rive Gauche Dining Club is back in action at the Wild Thyme Cafe in El Verano on Thursday, June 16, for dinner and a performance by Tudo Bem. For tickets and more info, call 996-9453. 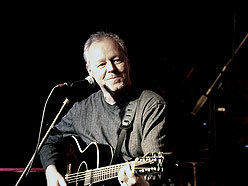 Murphy’s Irish Pub has Pete Olson in the Snug at 7 p.m. on Thursday, June 16. The Plaza Bistro will have Brian Nova, back in town on Friday, June 17, for a 7 p.m. show. Murphy’s Irish Pub has the Brothers Comatose in the Snug at 8 p.m. on Friday, June 17. Sebastiani Winery and Vineyards has Five A. M. in the tasting room on Friday, June 17, at 6:30 p.m. The Friday local music events continue with an available catered dinner and specials on wine. Olde Sonoma Public House welcomes the Keith Andrew Band on Friday, June 17, for a 7:30 p.m. show.